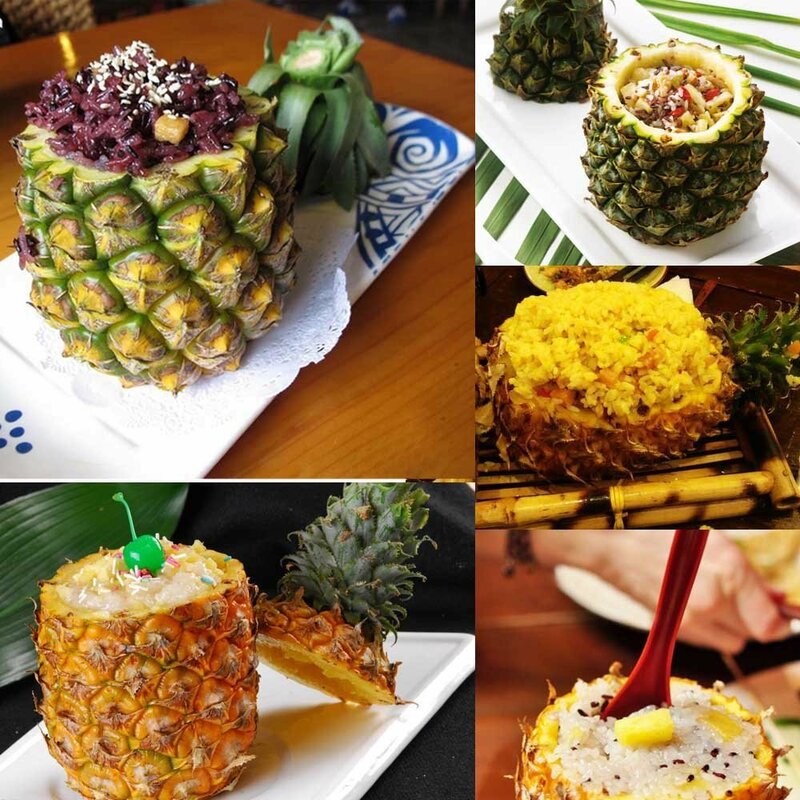 EASY TO MAKE PINEAPPLE DISHES! Peel, core and slice your fresh pineapple in a matter of seconds. 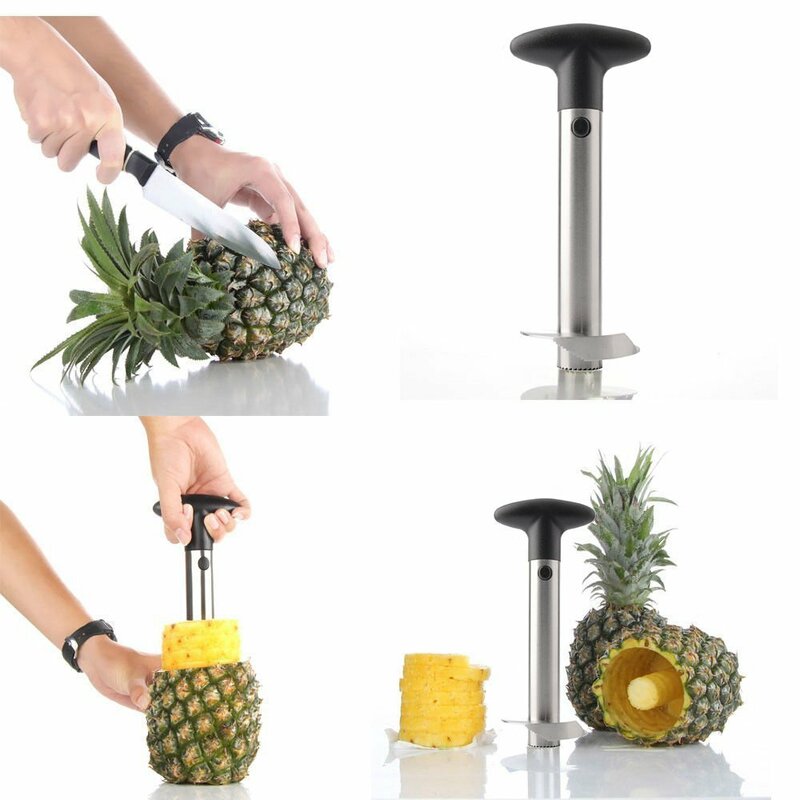 No more hassles trying to use a knife to get the most out of your pineapple. 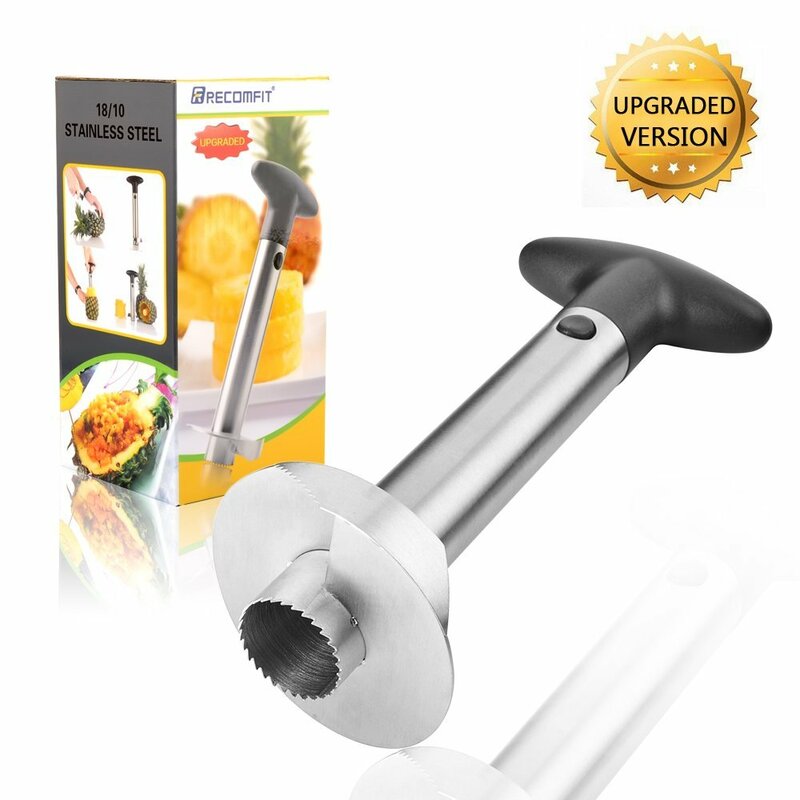 This item is covered by a 1-year warranty! 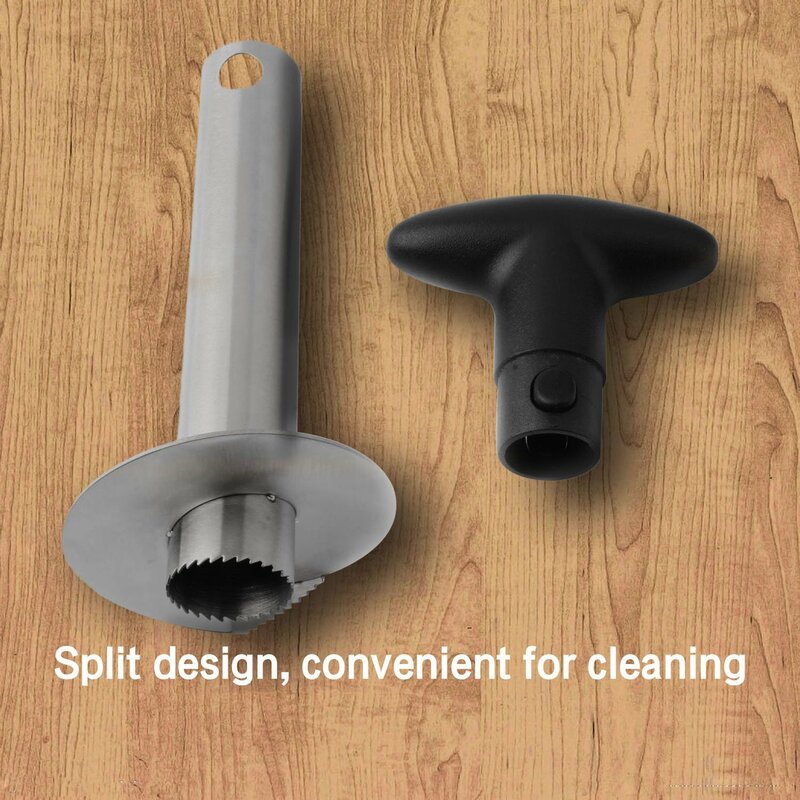 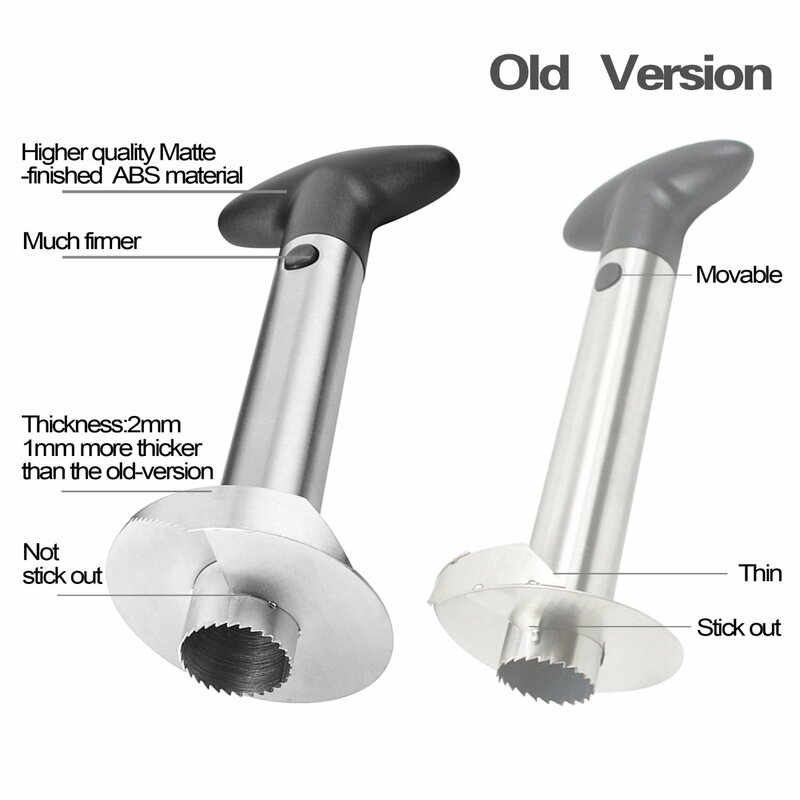 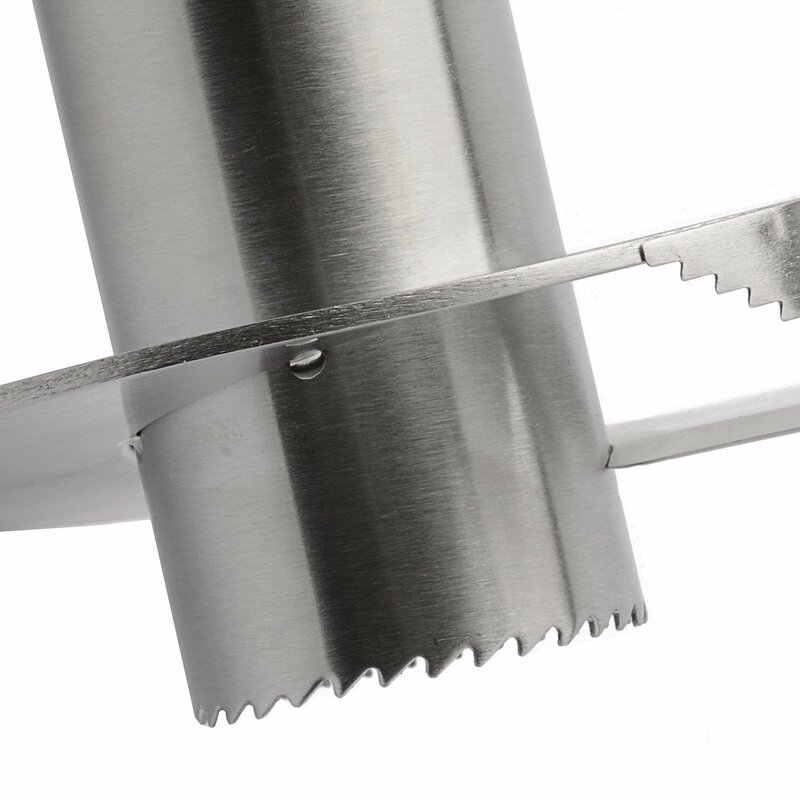 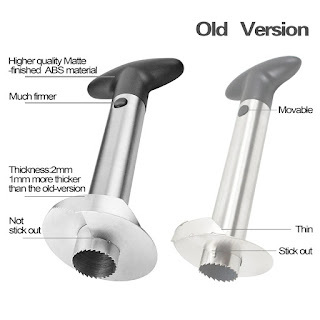 High quality ABS handle, well welded spots on the cutters (does not stick out) , more flexible button on the handle , these are important things that need your attention when buying a peeler. After seeing what this peeler can do, I knew I had to try it for myself. 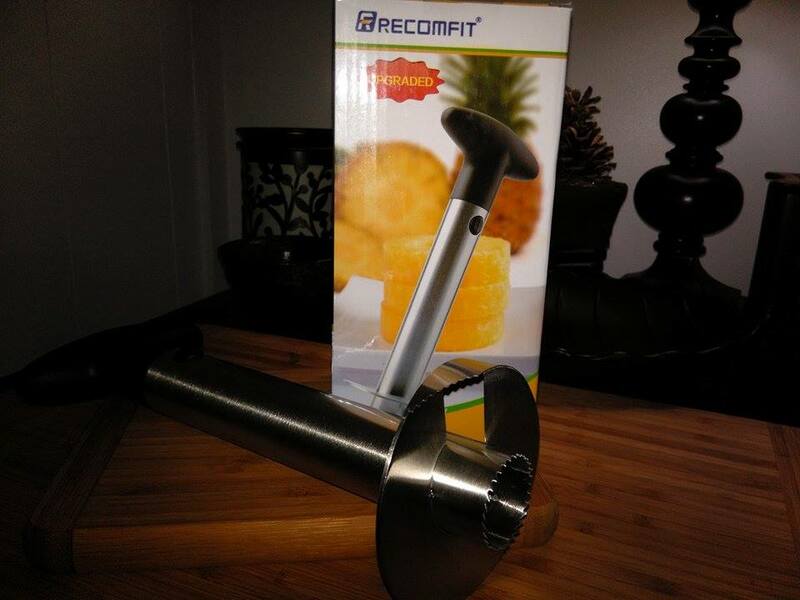 My family loves fresh fruit, we eat it daily and serve it for special occasions, too. 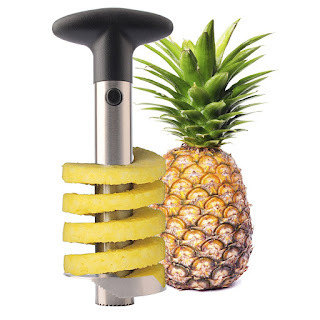 I was surprised how easily it cores and slices through a pineapple. I love that the pineapple itself stays intact and can be used as a serving vessel for a fruit salad, or any type of dish and used as a fancy party mug, as well. 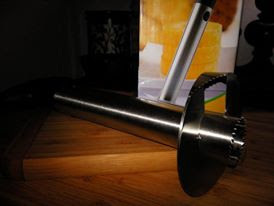 I love that it can be used as a table centerpiece and is a fun topic of conversation and gets a lot of compliments. I like that the pineapple top can even be used as a cover and reveals a surprise when taken off. 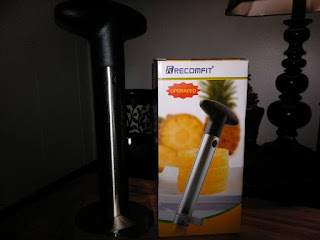 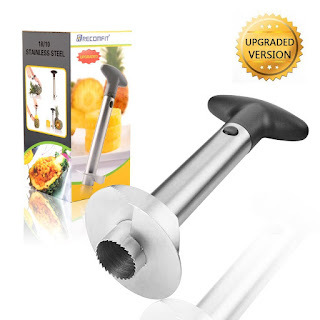 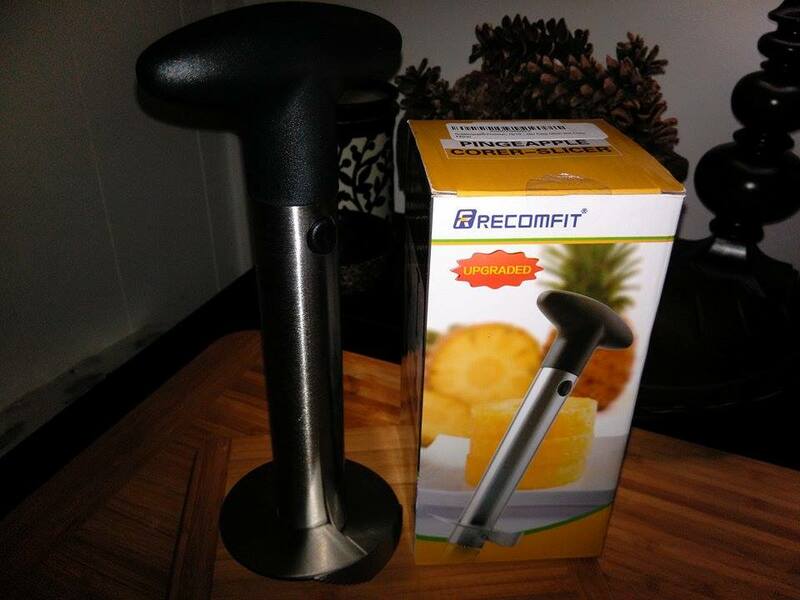 I think this is a really nice tool for coring and slicing a pineapple and the added benefit of a fun serving dish and centerpiece for the table or buffet and would make a lovely gift for anyone who likes to entertain or get creative in the kitchen. 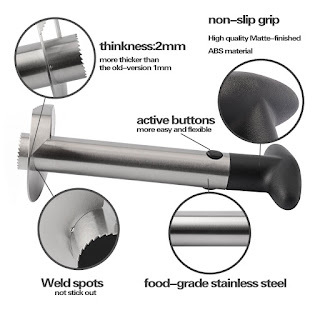 what a cool tool i want it!